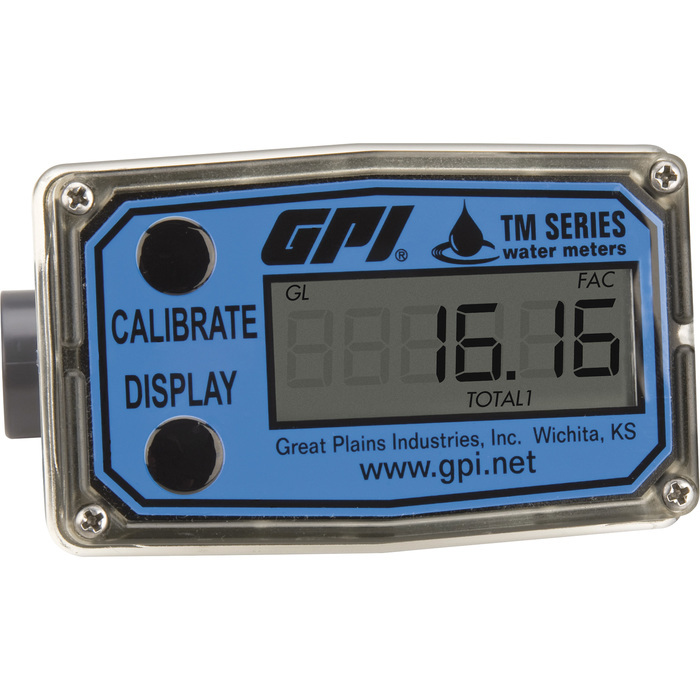 This GPI 1/2in. electronic water meter is ideal for almost any water application with no air in the system, including batching, blending or monitoring. Meter should be sized to desired flow rate, not desired pipe size. U.S.A.